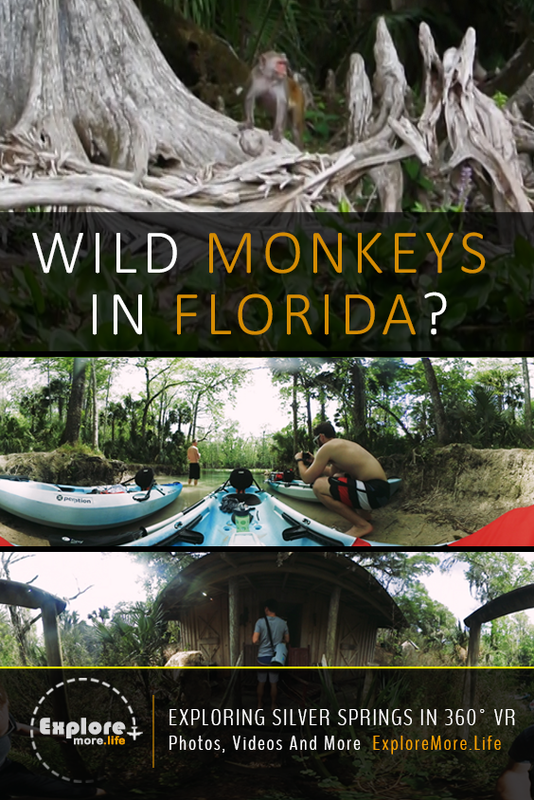 There Are Wild Monkeys In The Ocala National Forest!? I am originally from Michigan and when I heard the rumor that there are WILD MONKEYS in Florida I said to myself “No freaking way!”. So I teamed up with ExploreMore.Life , packed gear (cameras, beer, Publix Chicken aka the best!) 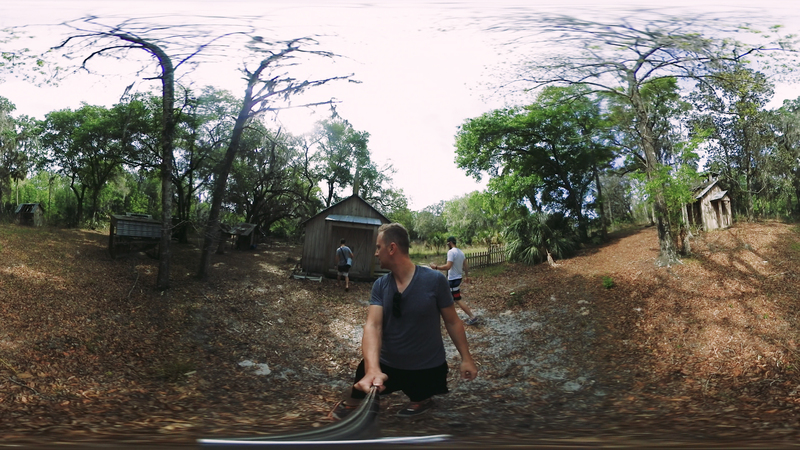 and headed out to see if we could capture a monkey on 360 VR! First, let me talk about Silver Springs State Park. It is literally like stepping into a completely different world (especially coming from the “fabricated fun” Orlando life). The water is crystal clear and it literally looks as though you are floating down the river on a sunny day. If you do decide to rent kayaks I highly suggest Discovery Kayak Tours . They will meet you at the boat launch and provide you with everything you need. 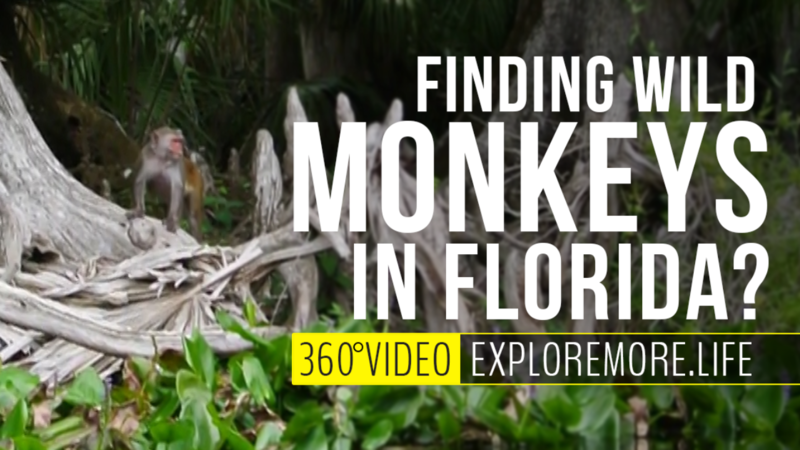 Wild Monkeys in Florida, let that sink in for a minute…there are wild monkeys in Florida! For the past 5 years, I have been telling people that there are wild monkeys in Silver Springs and all of them (even Florida natives) were in disbelief. So immediately your brain is saying “Wait a minute **hillbilly voice**…I never heard of monkeys being in Florida. So where did they come from?”. 1. Filming of Tarzan – People have been spreading rumors for years that the monkeys escaped the movie set of Tarzan back in the 1930s which is completely false. 2. Silver Springs River Boat Cruise (true story) – Many years ago a man by the name of Colonel Tooey owned a river boat cruise at Silver Springs. One day he thought to himself “Man…you know what would be awesome? If I got monkeys and put them on an island for my guests to enjoy”. So Colonel Tooey bought monkeys and put them on a tiny island hoping the monkeys would stay on there. Almost immediately as the monkeys were released they swam off the island and inhabited the Ocala National Forest and have inhabited it for the past 75+ years. With that incredible story in mind, we set out one Saturday morning to test our luck at the possibility of seeing a monkey in the wild. We launched from the Silver Springs boat launch and began our journey. A little ways down the river we came across a pathway which led to what appeared to be the village from the world’s scariest horror movie (or so we thought). We pulled our kayaks on shore and decided to check it out. Being careful that we don’t step on any poisonous snakes we walked through one of the buildings and found out that all of the buildings in this village had no backs? They were completely hollow and that is where we realized (yes, we are idiots) that this was part of the River Boat cruise many years ago. From the river it could fool anyone though because there was an outhouse, church, water well and massive fort! 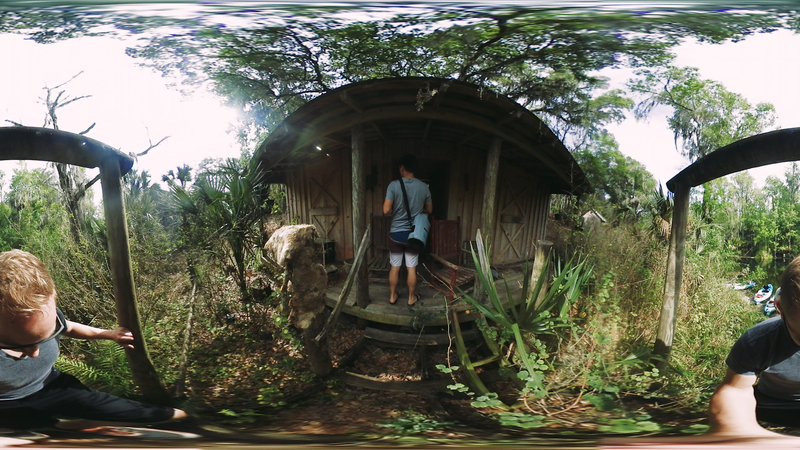 Go on the adventure with us in 360° VR! Want to go? Check out Discovery Kayak Tours for the best drop off/pick up Kayak rentals around!